HostingRaja is the one stop destination for all your Hosting needs where you can select any hosting packages that suits your frameworks and business. Benefit of choosing web space plans from HostingRaja is mainly due to its unique features like managed services for your code level issues, highly optimised servers, good knowledge professional support team,Top level knowledge based information and many more which is better enough for user as well as developers for their developing environments. Fuel is a new and user friendly PHP Application Framework which was built specifically for PHP 5.3, by keeping in mind how other frameworks are created and drawback having on it and to fulfill all the developers need. This framework uses the tried and tested MVC architecture for logical code separation and combines the best ideas of some existing frameworks with improvements and ideas of its own. It has a built-in modular structure and complete flexibility on how to use components and reuse existing code in a systematic way and maintaining it much easier.Major reason for using this framework is its portability means it will works on almost any server and prides itself on clean syntax. FuelPHP provides RESTful API development support. It is having Lightweight ORM model. You will get Autoloading classes, Session management, and Exception handling. Having Flexible URI routing system. Supports Input filtering and prevents SQL injection. Configure and provide you with Managed Hosting as per your requirement. You will get Free Cpanel installed along with migration support. You can host unlimited domain and hosting with unlimited webspace. "The FuelPHP project started in October 2010. The major contributors to FuelPHP are Harro Verton, Jelmer Schreuder, Dan Horrigan, Philip Sturgeon and Frank de Jonge. In November 2013, Steve West joined the development team. Philip Sturgeon and Dan Horrigan have contributed to the CodeIgniter framework. 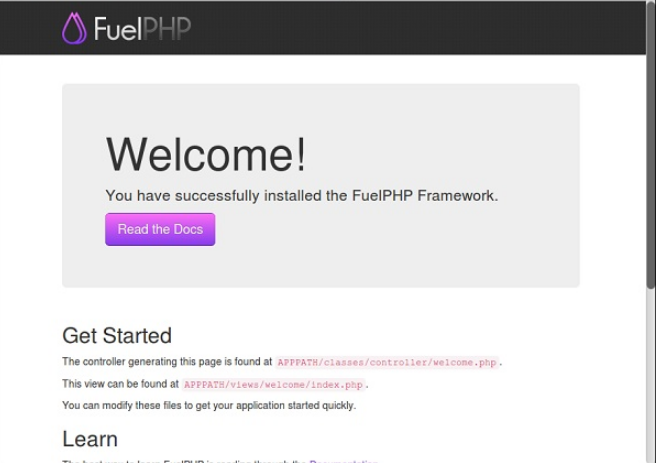 The first version of FuelPHP (FuelPHP 1.0) was developed under the GitHub repository named Fuel. 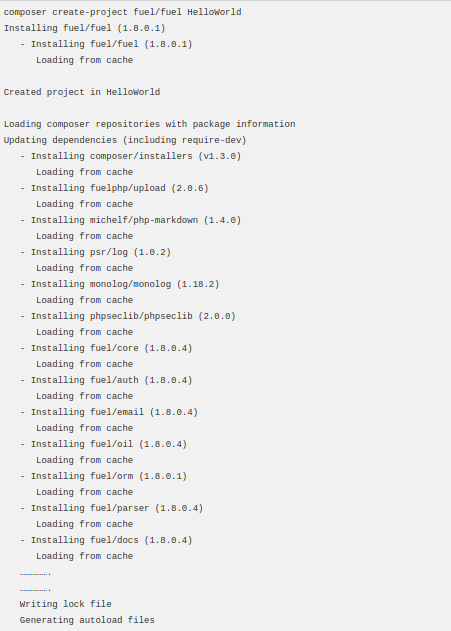 Another GitHub repository named FuelPHP was created for the development of the second version (FuelPHP 2.0)." Supported web servers like apache,nginx,iis. Support Browsers like IE, firefox,safari,google chrome. We help you to install this unique and modern framework using command line interface which is very fast and easier way for installing any packages. Oil is a special command provided by FuelPHP framework to do lot of things while developing FuelPHP application which includes installation, development, and testing of application.